How to start a wedding? Of course, with an elegant and beautifully designed invitations that the bride and groom handed your future guests of the holiday. 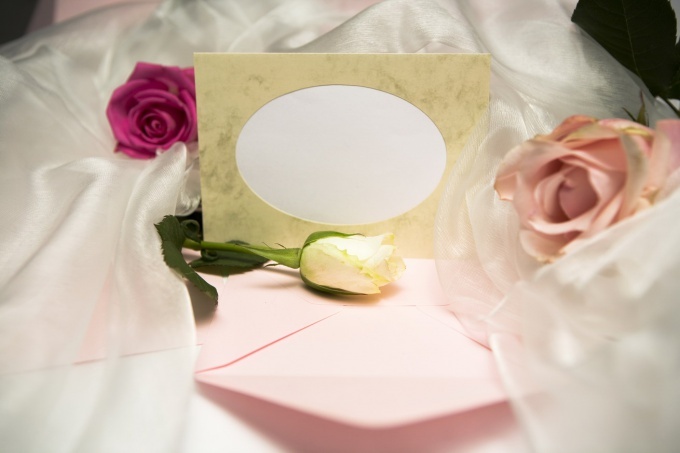 Wedding invitations set the tone for the subsequent celebration, so to fill them should be approached with great care. The invitation to the weddingin the first place, should be informative. Enter the names of the guests, the date, time and place of the ceremony. For those guests who will come directly to the wedding Banquet, specify the start time and address of restaurant (cafe, dining room). If you're planning a wedding, tell all about the venue. Do not overload the invitation with too much information. If you intend to invite a guest from a wedding Banquet, only specify its coordinates. Information about the wedding and the ceremonial check will be omitted. In order to avoid mishaps and awkward situations, be sure to sign your invitations at least a couple of names. The rest of the text can be printed on the computer, but their names it is better to write manually. This will give even the strict and formal physical warmth. For each guest, consider your options for the treatment to it. For older relatives, colleagues at work, select a more formal style. In the appeal to close friends and family members can don't skimp on the emotions. If the appearance of the prompt is not original, try to make original content. Welcome poetic improvisations, humor, lyrical digression. If you need to pre guests have confirmed their presence on a future occasion, please indicate this separately. Give your contact numbers and the time frame in which guests are required to contact you. In many countries the invitations included a list of desired gifts compiled by the newlyweds. If you have this fundamental point, let their wishes regarding gifts. For example, write that you would like to receive your gift in the envelope (money). Poems for wedding invitations can be ordered from a professional poet. The services of a calligrapher (a specialist in beautiful handwriting) will ensure that your invitation is the perfect handwritten font.